PMB Tijari is a financial services arm of Pelaburan MARA Berhad (Pelaburan MARA), a strategic investment and asset management company wholly-owned by Majlis Amanah Rakyat (MARA). Being one of the pioneer fund management firms in Malaysia, PMB is venturing into new frontiers to strategically involve in Shariah-compliant financial sector through PMB Tijari. Established in December 2013, PMB Tijari was formerly known as KFH Ijarah House (Malaysia) Sdn Bhd, a private limited company incorporated in Malaysia under the Companies Act, 1965. 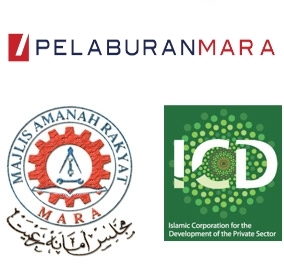 With a strong support from MARA, PMB and Islamic Corporation for the Development of the Private Sector (ICD) as a strategic shareholder, PMB Tijari is committed to develop and deliver comprehensive Shariah compliant financial solutions to meet its clients’ needs and financial objectives. To become a significant player in providing Shariah-compliant financial solutions for domestic and global markets. To offer most competitive and innovative Shariah-compliant financing services to facilitate clients’ need and objective. To deliver the best values and high quality financial services in the industry. Provide an attractive, comprehensive and high quality Shariah compliant financing products and packages to cater the needs and objectives of each customer segment. Establish a close relationship with each customer segment to ensure the best customization and value added financing products taking into account the customer’s requirement and competitive affordable rate. Customize and structure the financing facilities particularly for commercial segment thus assisting for a lower capital outlay, better cash flow management and lower inflation risk. For more information, visit www.pmbtijari.com.my or click here to submit your enquiry to PMB Tijari.